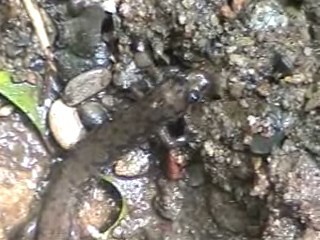 Take a closer look at the mountain creeks and streams and you may find a Black-Bellied Salamander. 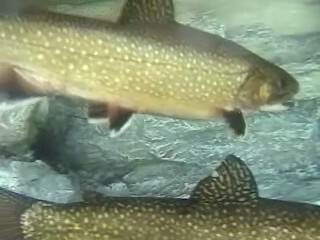 In this short and interesting nature program we learn about the only species of trout native to the Great Smoky Mountains. © Great Smoky Mountains Association 2010. Elk bulls are bugling, fighting, and finding every way they can to display dominance during the breeding season that is happening mid-September thru October in the Cataloochee area of Great Smoky Mountains National Park. © GSMA 2010. All rights reserved. 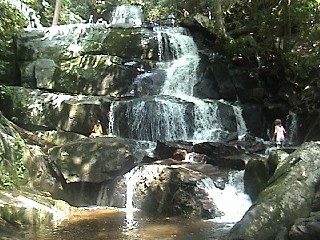 Join us on an easy walk to one of the Smokies prettiest and most fun waterfalls. Grotto Falls are the only falls you can walk behind. This is an outdoor adventure the whole family can enjoy. Take your family on this short nature hike to one of the most popular natural attractions in the Smokies. © Great Smoky Mountains Association 2010. This is the wild ancestor of the domestic turkey that ends up on your dinner table at Thanksgiving. You can see them in Great Smoky Mountains National Park, from Sugarlands to Cataloochee to Cades Cove. Stop and watch them for a bit. They are really handsome creatures and fun to watch. © GSMA 2010. All rights reserved.